This is another recipe of my mom’s that she used to make for us when we were kids. 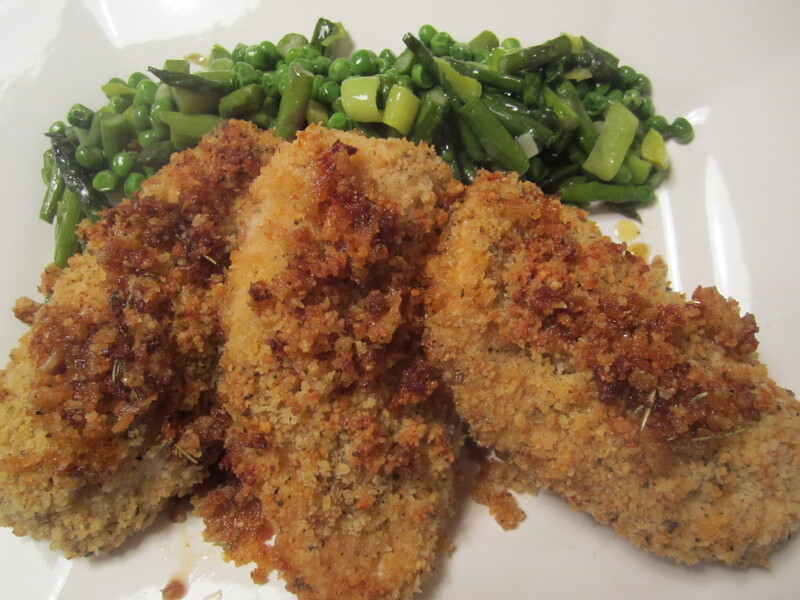 It’s simple to make (much simpler and less messy than pan-frying), can be prepared ahead of time, then placed in the oven just before guests arrive. It needs no attention once it’s in the oven, so you can prepare a pasta or first course while it’s in the oven and while you sit with guests. 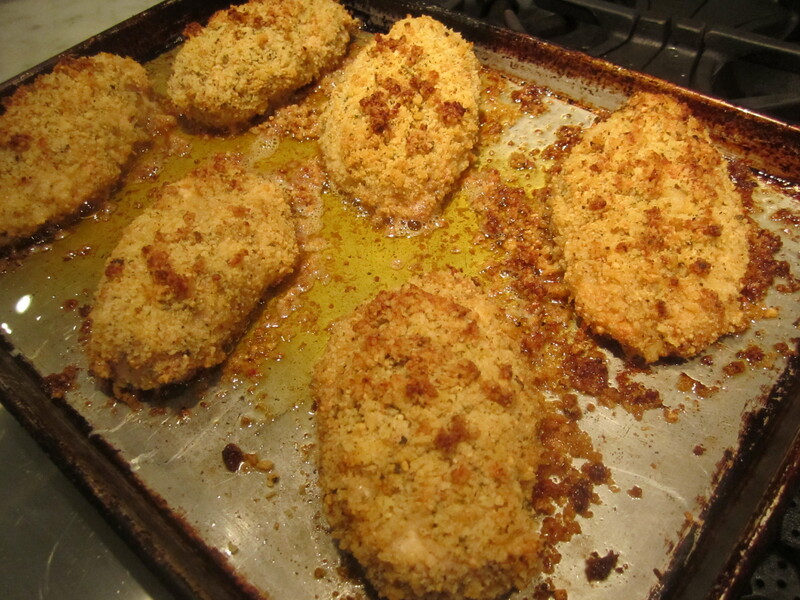 Once it comes out of the oven, it can rest for at least 15 minutes without losing heat. It’s also great served cold for lunch the next day. 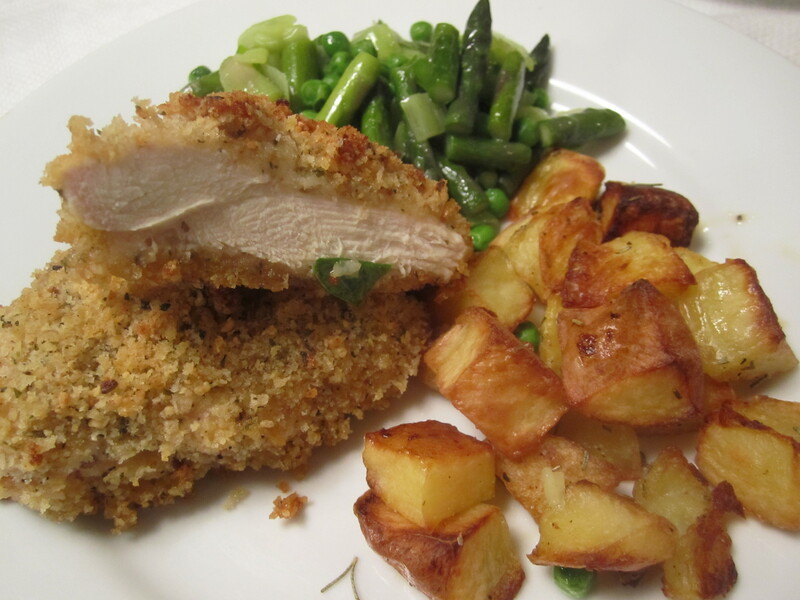 Tonight, we had this dish with roasted potatoes, and a spring mix of asparagus, peas, leeks and a touch of lemon zest. In a small skillet, melt butter, but do not let butter get too hot–turn off heat when butter is three-quarters melted, then allow the remainder to melt without heat. This is to allow you to handle the chicken and butter with your hands without burning them. In a shallow pan, combine the remaining ingredients. 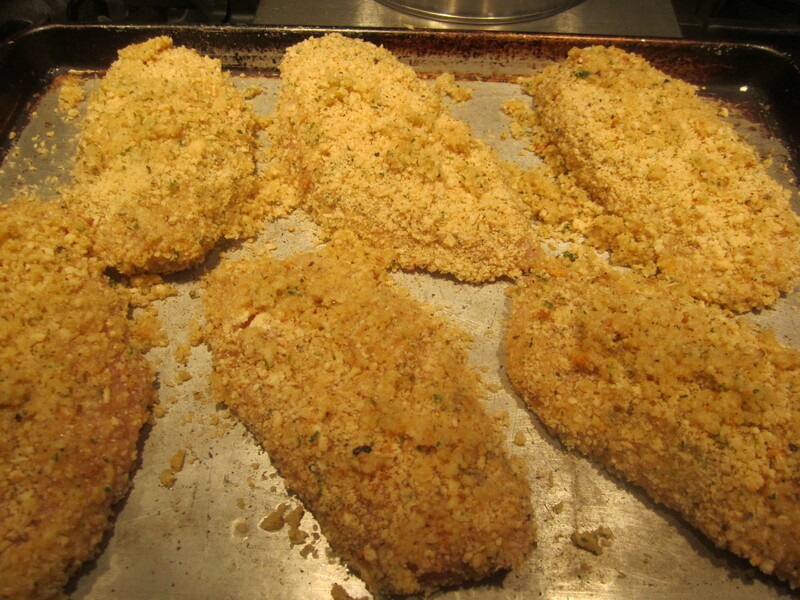 Take each chicken breast, dip it in butter, then in crumb mixture. Press the pieces between your palms to adhere crumbs. Dip again in butter, then in crumbs, and press again between your palms. 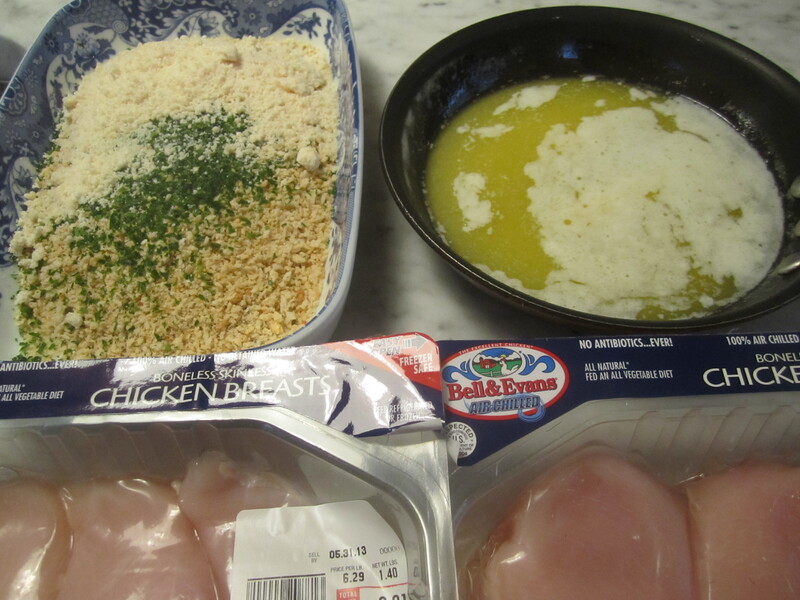 Combine any remaining butter with any remaining crumbs and spread liberally over the breasts. Bake for approximately 45 minutes, or until golden. Allow to rest for 10 minutes or so before serving. This entry was posted in Poultry. Bookmark the permalink. Thanks so much for sharing! Will definitely give it a try!